I purchased these bases to give a little more character to one of my armies. I was thrilled at the result. The bases are very detailed and look amazing. They arrived on time and without any blemishes. 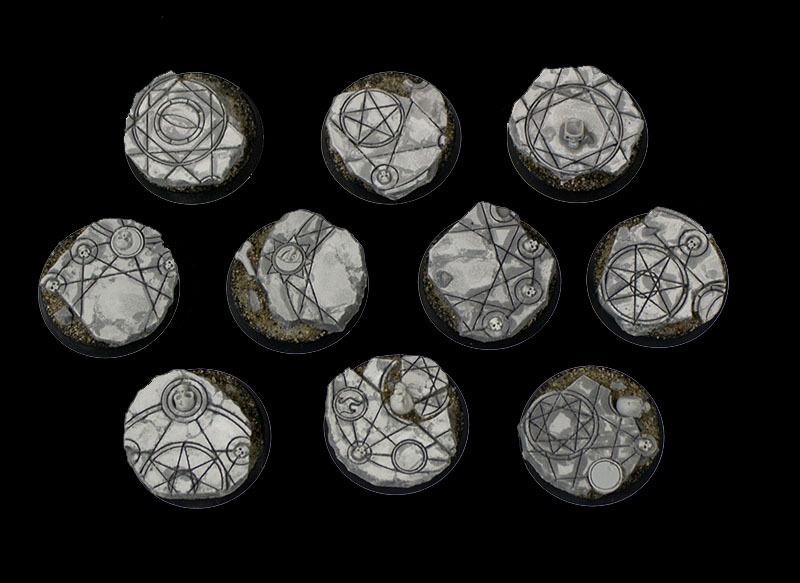 Whether your forces are summoning terrifying demons or banishing the forces of darkness back to the pit, these 25mm bases are a perfect fit.